Ready for a massage? Complete this form to tell our therapists about any issues or goals. Our New Patient form is a PDF document file. If you do not already have AdobeReader® installed on your computer, click the Adobe® image to download for free. Call our Midlothian chiropractic office now to schedule an appointment! 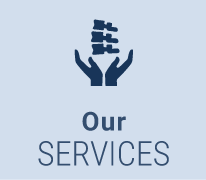 Proudly Serving the Midlothian and Chesterfield communities. I was very impressed with staff and Dr. Tyson. This was my first visit. Great service! Wonderful staff and genuinely professional care. They have helped me so much in just one weeks time! The doctor and staff are all great. A dynamite crew at Advanced Care! Highly recommend! I have been to many chiropractors in my life and I can say that I actually enjoyed my first visit. Caring, friendliness, knowledgeable, considerate, are all words that can describe this office. Love that you all are involved in the Food Bank food gathering efforts! I was impressed that you where able to identify what was causing my pain and refer me to someone that could help. I'm excited about you guys helping me out! First visit was a pleasant experience, treatments were good. I appreciate Dr. Tyson is very focused on long term results rather than a quick fix. The entire staff is very welcoming and courteous! The staff was very patient, accommodating and understanding. I was very happy to find the office as presented on the web site. The staff and Dr were very friendly and very clear about the services they were offering. Today I had my first decompression session and was satisfactory. Sue, the front desk person, is amazing. She was extremely pleasant, helpful and the reason I chose to make my appointment. I think this I one of the best chiropractors in the area if not the best so far so good Tyson is da man! The staff was super friendly and very flexible with my scheduling needs. Also, they are very professional and caring in taking care of my chiropractic health. I would recommend them to anyone for their chiropractic needs. Staff was very professional and accommodating. Very happy that I made an appointment. Everyone was fantastic, and I look forward to coming back! Thanks! The friendly environment was pleasant considering it was my first time. Highly recommend Dr. Tyson! Chiropractic care and treatment is great! I enjoy my time at Advanced Care Chiropractic and Wellness Center. Was very pleased with everyone there. Great team. All of the staff is awesome here! Thanks for a very pleasant initial visit. Staff was great from setting app. to Dr. to therapist. Great to have such help close by when I need it.